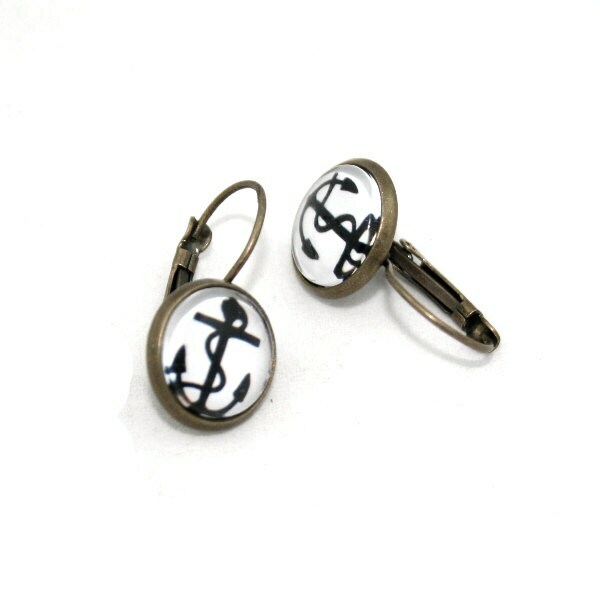 Nautical Anchor Earrings. These earrings have been made by encapsulating little anchor images under glass domes and setting in antique brass cameo earring frames. 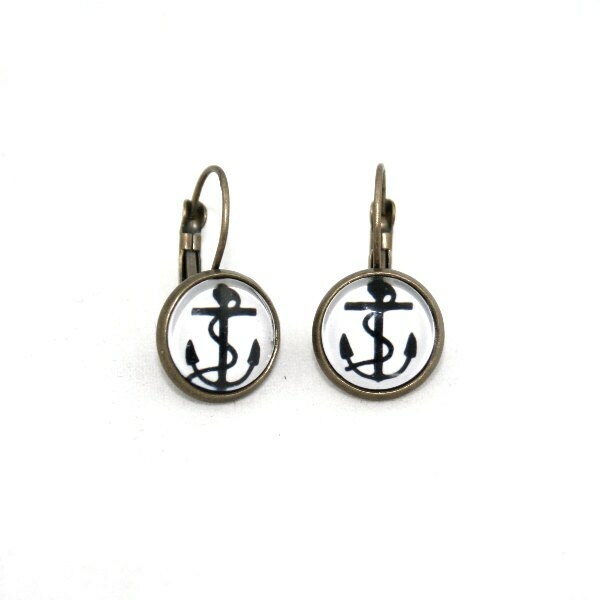 • These earrings very lightweight to wear and would suit any nautical loving individual.